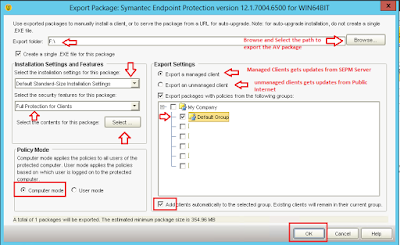 Techies Sphere: How to create AV client package using Symantec Endpoint Protection Manager Server? 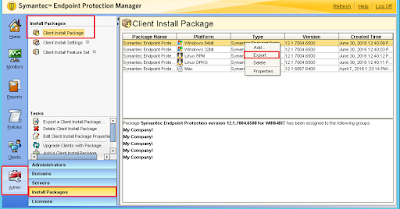 How to create AV client package using Symantec Endpoint Protection Manager Server? 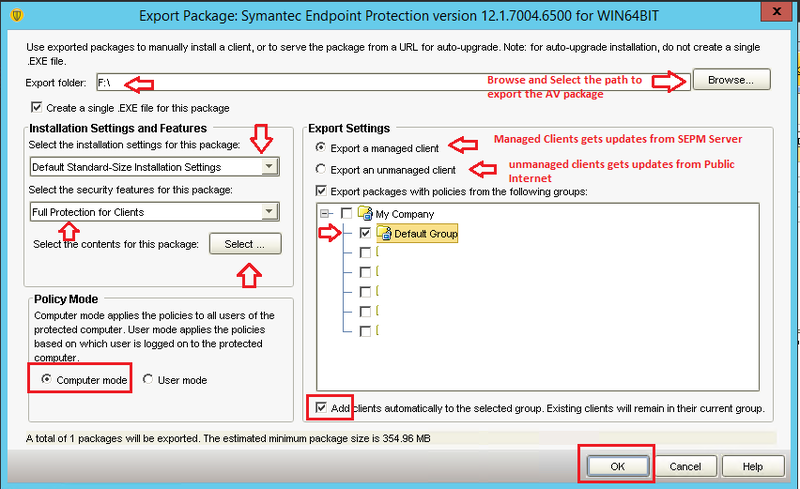 Or, How to create Managed or Unmanaged AV clients package in Symantec Endpoint Protection Manager Server? 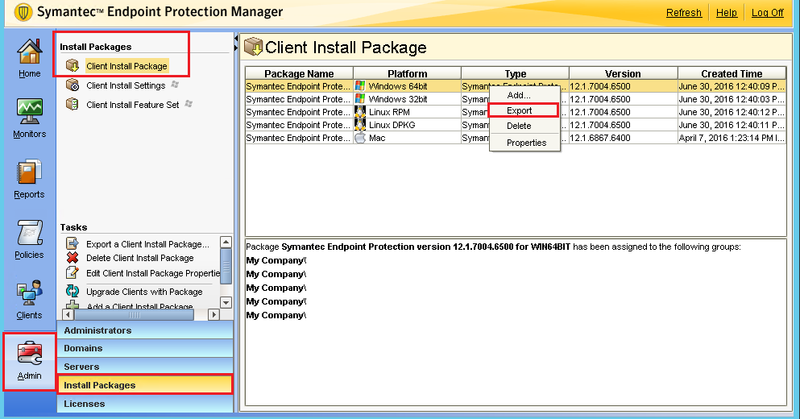 Or, How to create standalone AV client package in SEPM (Symantec Endpoint Protection Manager)? 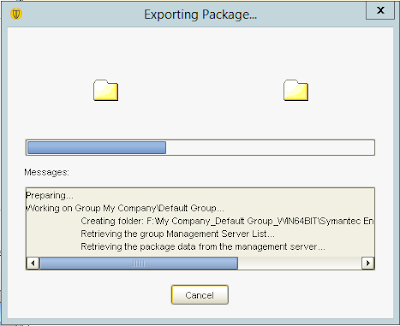 Or, Creating AV client package in Symantec Endpoint Protection Manager server. See Also: What is difference between managed SEP Client and Unmanaged SEP Client? Descriptions: There are two type AV package you can create using Symantec Endpoint Protection Manager, Managed AV Package and Unmanaged AV package. AV clients installed with Managed AV package, will take update from Symantec Endpoint Protection Manager Server or Management Server whereas, the AV clients installed with unManaged AV package will take update from Internet (Symantec's public update distribution server). 3. Wait for the package file to be exported completely and you are done.